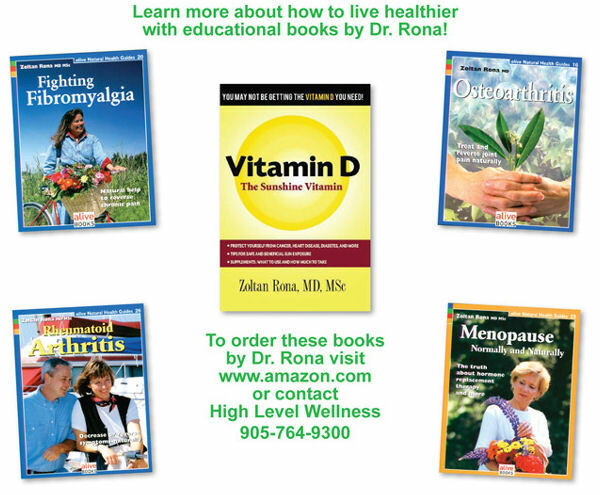 Dr. Rona's Healthwise Digest is brought to you by Naka Herbs & Vitamins. "We estimate that vitamin D deficiency is the most common medical condition in the world." When the June 8, 2007 front page of the Toronto Globe and Mail proclaimed the cancer preventing benefits of vitamin D (a.k.a. "the sunshine vitamin" or D3) and the Canadian Cancer Society chirped in with their modest recommendation for everyone to take 1100 IU of vitamin D daily, the natural health community may have felt vindicated. Many scientists felt hoodwinked. This cancer preventive property of vitamin D was no big news to world experts and researchers who have been touting the numerous benefits of the vitamin for well over a decade. The medical profession and its various antiquated societies are, unfortunately, far behind in applying scientific data to clinical health concerns. It's a nice gesture on their part to recommend 1100 IU of vitamin D a day to prevent cancer but it's far from enough. Current research indicates that the figure for cancer prevention should be closer to 10,000 IU daily. Vitamin D is really not a vitamin but a steroid hormone precursor that plays a major role in many diseases. It is created under the skin by ultraviolet light and is found in few foods commonly consumed by most Canadians. Vitamin D deficiency or insufficiency (sub-optimal levels) plays a role in causing seventeen types of cancer (especially breast, prostate and colon) as well as heart disease, stroke, hypertension, autoimmune diseases like multiple sclerosis, diabetes, depression, especially seasonal affective disorder, chronic pain, fibromyalgia, osteoarthritis, osteoporosis, muscle weakness, muscle wasting, birth defects, and periodontal disease. In my practice, at least half the patients I see for chronic health problems have insufficient blood levels of vitamin D despite consuming vitamin D fortified dairy products or taking a multiple vitamin supplement. 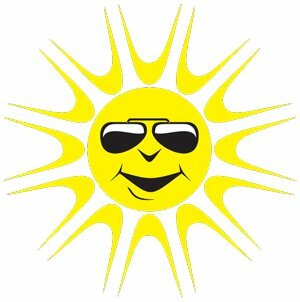 Sun phobia, a condition imposed on the population by sun paranoid dermatologists, sunscreens and spending too much time indoors have all contributed to the vitamin D insufficiency problem. One of the worst offenders in creating vitamin D deficiency is the use of commercial sun blocks. Studies now indicate that while these may prevent sunburns, they do virtually nothing to prevent melanoma, the most dangerous form of skin cancer. Research indicates that to get 4000 IU of vitamin D daily if you totally avoid the sun, you must drink 40 glasses of milk a day or take 10 typical multivitamin pills daily. As mentioned earlier, a more optimal daily dose of vitamin D is 10,000 IU daily. If your blood levels of vitamin D are below the optimal levels research indicates that it will take at least 4000 IU of vitamin D daily to push the levels back to the desirable range. The purported toxicity of vitamin D is overstated. According to well documented research, a person standing in the summer sun for an hour at noontime in a southern latitude in swim trunks, would naturally produce about 10,000 IU of vitamin D through skin exposure but sun poisoning from vitamin D overdose has never been reported anywhere. For those who cannot tolerate the sun and prefer to take supplements, Dr. Reinhold Vieth PhD, researcher at the University of Toronto, notes that vitamin D toxicity begins at 40,000 IU daily only after many weeks of use. Taking 10,000 IU daily for months at a time provided there is no sun exposure is perfectly safe. Blood levels can be done periodically to verify this. most cost-effective medical intervention in the United States." Abbott Northwestern Hospital in Minneapolis. Besides Cancer, Why Take Vitamin D? 1. Rickets - even conventional medicos know this childhood bone disease is caused by vitamin D deficiency and was the major reason why milk became fortified with tiny doses of the supplement. 2. Osteoporosis - even though this is common knowledge numerous individuals who suffer from osteoporosis are low in their D levels and simply need to take more. 3. Heart disease - hardening of the arteries is caused by calcium deposition and vitamin D is an anti-calcifying agent when at optimal levels in the bloodstream; both extremely high and low intake levels of vitamin D induce calcification of arteries but calcification from overdose of vitamin D requires many hundreds of thousands of international units and is rare; vitamin D deficiency is common and calcified arteries are a direct result of deficiency. Also, as is noted below, heart disease is often triggered and perpetuated by inflammation and vitamin D is anti-inflammatory. 4. Diabetes - evidence is mounting that vitamin D can improve insulin resistance and favorably affect Type 2 diabetes. 5. Hypertension - emerging evidence has compared the blood pressure lowering effects of vitamin D to ace (angiotensin converting enzyme) inhibitors, a class of blood pressure lowering drugs commonly prescribed by conventional doctors; don't go off your blood pressure pills yet but consider high dose supplements of vitamin D and get the blood levels checked along with your blood pressures. 6. The common cold and the flu - ditch that mercury and formaldehyde laden flu shot; vitamin D has strong antibiotic properties and some studies indicate that optimal blood levels will prevent the flu far better than those toxic flu shots. Dr. John Cannell, the director of the Vitamin D Council, suggests high-dose vitamin D (50,000 IU) be consumed for 3 days at the first sign of a cold or the flu. If you have an infection, you need more vitamin D. That's a given. 7. Arthritis - Any kind of arthritis, especially osteoarthritis, benefits from optimal levels of vitamin D. Ideally, vitamin D supplementation should be accompanied by omega-3 from the diet or supplements. 8. Autism - Research has shown that low maternal vitamin D levels can adversely affect the developing brain and lead to autism and that vitamin D supplements can improve some of the signs of autistic behavior. Since most of the medical and conventional treatments for autism are so dismal, supplementing with vitamin D may be well worth a try. 9. Inflammation - vitamin D is anti-inflammatory; if you have inflammation (arthritis, iritis, thyroiditis, pancreatitis, anything ending in "itis"), you need more vitamin D.
10. Autoimmune Disease - multiple sclerosis, psoriasis, scleroderma, rheumatoid arthritis, fibromyalgia, chronic fatigue syndrome and numerous other diseases where the immune system attacks various organs involves inflammation that can be arrested by high dose vitamin D.
11. Melanoma - this most deadly form of skin cancer is now thought to be caused by a sunlight/vitamin D deficiency coupled with a deficiency in omega-3 oils; safe sun exposure actually helps prevent melanoma, a counter intuitive finding confusing the heck out of dermatologists. 12. Obesity - vitamin D levels are significantly lower in overweight individuals; taking a vitamin D supplement certainly beats dieting but check your blood levels first. For more info on the relationship between vitamin D deficiency and disease, see my book, "Vitamin D, The Sunshine Vitamin." "No other method to prevent cancer has been identified that has such a powerful impact." The only way to ensure vitamin D adequacy is to expose yourself to the sun regularly. In Canada and other northern latitude countries, this is next to impossible at any time other than the summer. As discussed earlier, drinking milk is not the answer. For people who are not making frequent trips south, there are oral supplements that will do the trick. One choice would be cod liver oil or halibut liver oil liquid or capsules. The only problem here might be the high vitamin A (each capsule may contain as much as 5000 IU of vitamin A) that comes along with the vitamin D (usually 200 - 400 IU per capsule). If you want to take 2000 IU daily of vitamin D, this might be suitable. If you want to push the dose up to 10,000 IU of vitamin D daily, you might be getting too much vitamin A. There is also some new evidence indicating that excessive amounts of vitamin A will interfere with the action of vitamin D in the body. An alternative to cod or halibut liver oil would be a capsule containing only vitamin D3 (cholecalciferol). These usually come in dosages of 400 IU or 1000 IU per capsule. Higher potencies per capsule are available by prescription only. 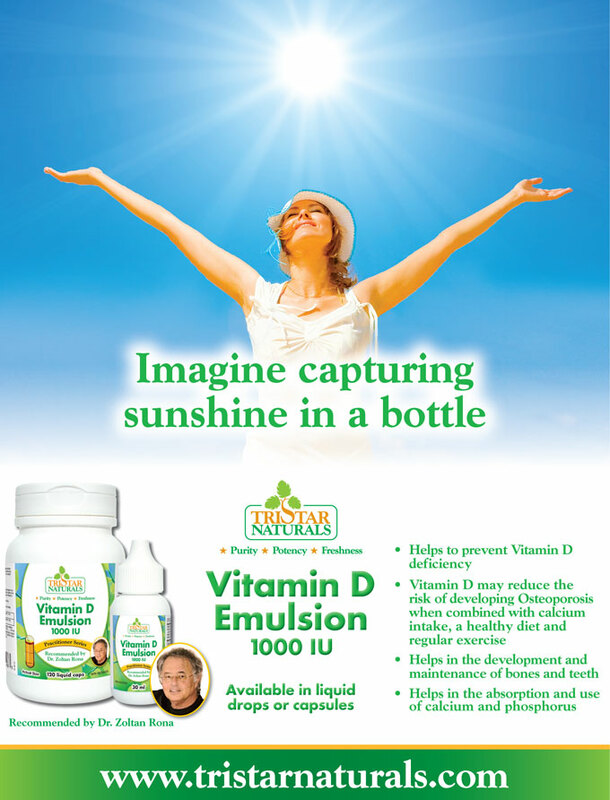 Why Micro Emulsified Vitamin D? There are many individuals who have a problem absorbing vitamin D from the gastrointestinal tract. In my practice, certain people taking even 50,000 IU of vitamin D daily for months fail to boost their blood levels sufficiently. This may be due to various bowel diseases like celiac disease or various forms of inflammation (Crohn's disease or colitis), food allergies, bacterial flora imbalances, candidiasis, digestive enzyme deficiencies or because of the use of numerous drugs affecting the gastrointestinal tract. These people can only achieve successful absorption with a micro emulsified form of vitamin D. Essentially, this converts a fat soluble vitamin into a water soluble form. This most bioavailable form of vitamin D is most suitable for people who have problems with absorption. The liquid form can be taken straight from the bottle or mixed into any food or beverage. Emulsified Vitamin D used to be only available at a high price from some health care practitioners or pharmacies specializing in natural remedies. It is now available at much more reasonable prices at your neighborhood health food store without a prescription. If you are suffering from any chronic health problem, ask your doctor to check your blood level of 25-hydroxy vitamin D, the most accurate indicator of vitamin D status. The optimal blood levels should be between 100 and 250 ng/ml. Levels below 75 are considered insufficient and levels below 25 are definitely in the deficiency category. With continued research, I predict these numbers will all change, so stay tuned. Discover the purity, potency and freshness of supplements by Tristar Naturals! They're available now at fine health food retailers. To ensure you continue to receive this newsletter in your inbox, please add nhe-j@lholmesassociates.com to your address book. If you would like to be added to, or removed, from the Natural Health e-Journal mailing list, please follow these links to subscribe or unsubscribe. The information in this newsletter is strictly intended for research and educational purposes only, not as a diagnostic tool or a prescription for any ailment.